“Be Like Mike.” That was the slogan for Jordan-brand shoes back in its infancy, as the once-fledgling shoe company crept out from the shadows of the ‘Swoosh’ brand. Today the Jordan brand is estimated to be worth $1.9 billion. Marketing basketball’s most recognizable star, the brand use his “Airness” in every medium possible. From magazine ads to commercials to the iconic “Jumpman” logo synonymous with the company today, the brand capitalizes on what fans most love about Jordan. Michael Jordan paved the way for endorsements and branding of athletes for generations to come. Today, the brand has established itself as a true competitor alongside Nike, Adidas and Under Armour in the sporting goods market. Inspired by that model for success, companies across the globe have shelled out billions to lure athletes, singers and some actors to influence impressionable demographics to buy their product. We’ve seen Nike’s net worth skyrocket with the endorsement of LeBron James, who has evolved into basketball’s next phenom since Jordan moved on to be a sportswear mogul. With an arsenal of signature shoes, James is considered one of the best players on the hardwood for much of the last decade, having appeared in 8 of the past 10 NBA Finals. Adidas followed suit, signing stars of their own, the likes of James Harden of the Houston Rockets, Donovan Mitchell of Utah Jazz and even delving into the pop culture hemisphere to sign Justin Bieber. If you have clout and expertise, there’s a chance that some company will approach you to represent them in some form. An unspoken clause in most endorsement deals is the morality clause. Sponsors include a morality clause in case a scandal were to arise. Recently we saw Nike cut ties with Michael Vick, after the former Atlanta Falcons’ quarterback was imprisoned for animal cruelty charges related to a dog-fighting ring. Who could forget when American cyclist Lance Armstrong was found to be doping in 2012 by the US Anti-Doping Agency, stripping him of all his Tour de France Titles? Nike, Radio Shack, Oakley and Anheuser-Busch were just a few of the companies to drop Armstrong as a brand ambassador. Public image remains a priority for any successful business, let alone companies that are constantly in the spotlight. No individual from “The Six” has a better public image than that singer Drake, a lifelong fan of the Toronto Raptors. The relationship between Drake and the Raptors has strong ties. 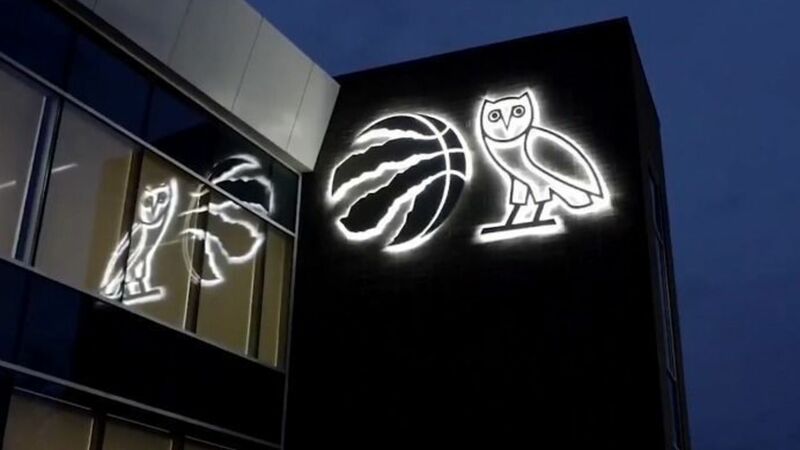 The team has hosted ‘Drake Night’, which has become an annual tradition each season for the Raptors. Based on his love for the city of Toronto, Drake has spent a great deal of time promoting the Raptors brand to heights that winning a basketball game simply cannot accomplish. Due to his mainstream popularity, the rapper has operated as both global ambassador and superfan, often having a courtside seat to watch the Raptors in seasons past. The Toronto Raptors announced that OVO — October’s Very Own, the music label for local rapper Drake — would be the sponsor of Toronto’s practice facility. Many greeted the announcement with excitement, especially after the basketball franchise previewed some of the new practice uniforms. The “Hotline Bling” crooner even helped design the Sher Club, the posh bar — which requires a $7,000 admission fee — inside Scotiabank Centre for celebrities, players and other one percenters to get away from the general populous. For the past six years, ‘Drake Night’ has been among the most popular nights of the NBA calendar for the Raps, as well as the city of Toronto and its favourite son. The night is culmination of the efforts between Drake and the Raptors that illustrates the symbiotic nature to their relationship. The team sports an alternate jersey that is tailored with Black and Gold, a homage to the colours of the singer’s music label. The Raptors have even tripled-down to change the flooring design to reflect the font, colours and text of the OVO brand for their “Welcome to T.O.” games held throughout the year. The Raptors and Drake are head over heels for each other and in a partnership that has benefited both parties. For the Raptors, tapping into the young, impressionable consumer base that adores Aubrey ‘Drake’ Graham is highly profitable. Regardless of your opinion of his music, Drake is a commodity that most entities within the Toronto market wouldn’t mind tapping into. The union has given the Raptors both cultural and economic profit that the Raptors’ parent company, MLSE (Maple Leafs Sports and Entertainment), continues to benefit from. Drake’s partnership with the Raptors legitimizes his brand within Toronto as well as in the entertainment industry. Showing up courtside for games is great publicity, but having his name affiliated with a successful franchise such as the Raptors has only helped to elevate the singer’s stock outside of the music industry. It’s a win-win in terms of collaboration for all involved. Contrarians will tell you that the Raptors/Drake relationship will not end on good terms. As we’ve mentioned, the roots of this partnership become deeper as time goes by. While it’s hard to see MLSE giving up controlling interest in the team, it’s not out of the realm of possibility that the franchise will allow a son of the 416 an opportunity to purchase a stake in the team… Then again, perhaps our tin foil hat is on a bit too tight. 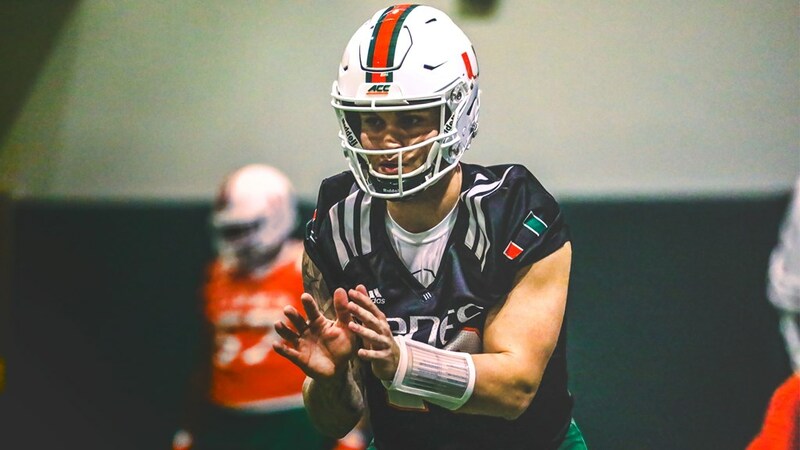 For now, it’s just a sponsorship of a practice facility, with some nifty looking alternate jerseys. However, when things go bad for either side, will the other stick by them? The Raptors have been contenders in the Eastern Conference for the past six seasons. Proving themselves as genuine contenders in the league. Led by Kyle Lowry, Kawhi Leonard and Pascal Siakam, Raps are viable candidates this season to make the NBA Finals. In the worst-case scenario, Toronto fails to make the playoffs after their most recent success and the powers that be decide to hit the reset button on the roster. When the wheels come off the tracks for artists, they usually do so in head-turning fashion. While Drake continues to be among the most viable entities in music, there will come a time where his star doesn’t burn as bright. *Toronto* Although Drake was once signed to the Jordan Brand, he certainly is no Michael Jordan, either as a player or a businessman. The only certainty of any pop star’s fame is that there’s a beginning and an end. Someday, Drake will share the same fate as nostalgic acts like Usher, Sugar Ray, Snow. For now, the artist remains Toronto’s biggest attraction outside of the CN Tower and sporting events. 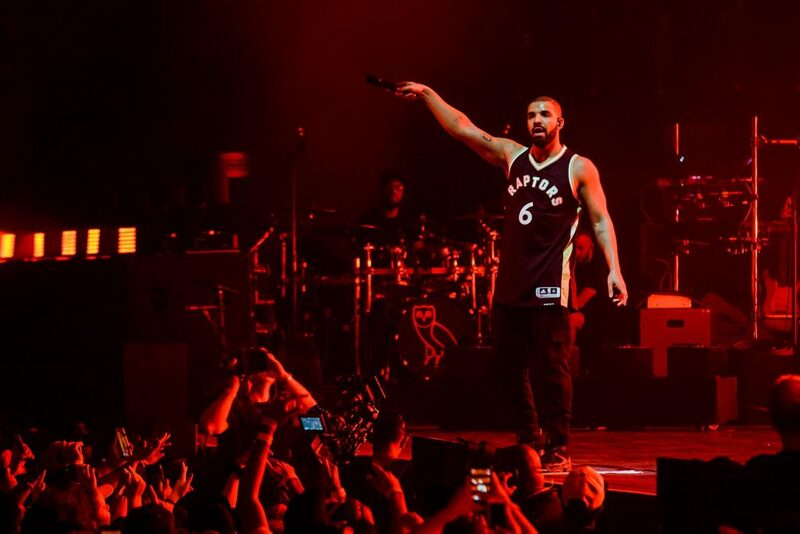 Drake is the most recognizable and buzzworthy celeb that attends a Raps game. He’s the only person that is more distracting than the game itself, with cameras fixated on his seat close to the Raptors’ bench. You’ll seldom see headlines in any major outlet about Hollywood’s A-List catching the game while they film in town. And while other athletes from the Leafs to the Blue Jays can be spotted here and there, those appearances serve as anecdotes in game highlights the following morning. Any partnership, business or personal, can dissolve quickly, and that includes celebs. Should the singer find himself in some legal or moral hot water, that impact will surely blow back on the Raptors. It takes one legal case to have business associates distancing themselves from you to protect their image. There are other organizations within the city of Toronto that would love to have the relationship that the Raptors have with Drake. No crystal ball can project just how this union will grow as the years unfold, but it does represent a precedent that is seldom witnessed in sport. This is not the first time a celeb has crossed over to put a stake in the local sports franchise — Justin Timberlake owned a minority share of the Memphis Grizzlies and Jay-Z was once the minority owner of the Brooklyn Nets — so you know the music industry is no stranger to being affiliated with the game of basketball. Yet, the reciprocal nature of the franchise likewise promoting said partner is a move unique to the Raptors. Whether this partnership in “The Six” blossom into a rose or wilt quietly away when the next new pop sensation arises remains to be seen.